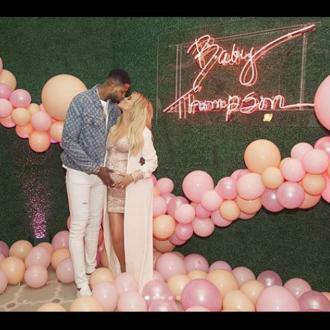 Khloe Kardashian has blocked her fans from leaving negative comments about her boyfriend Tristan Thompson after he was accused of cheating on her while she was heavily pregnant with their daughter True. Khloe Kardashian has disabled the comments on all of the photographs she's posted of her and her boyfriend Tristan Thompson on her Instagram account. The 'Keeping Up with the Kardashians' star is desperately trying to save her relationship after it was claimed that her partner, with whom she has three-week-old daughter True, had cheated on her with multiple women while she was pregnant. And, in a bid to focus on their issues, the 33-year-old beauty has deleted the comments - many of which contained abuse aimed at Tristan - that fans have left on their photos since the cheating scandal came to light at the beginning of last month. The blonde beauty has also wiped all the comments that had left on the announcement post she shared when her baby daughter arrived into the world. Khloe was left devastated last month when footage emerged of 27-year-old Tristan - whom she's been dating since 2016 - appearing to kiss a woman in a nightclub in New York while his girlfriend was at home awaiting the arrival of their child. 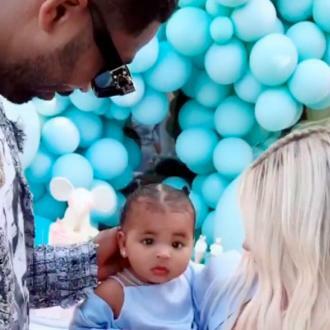 The stress of the scandal reportedly sent Khloe into early labour and, although she was fuming with her partner, she allowed him to see his daughter being born. It was then thought Khloe - who moved her whole life to Cleveland, Ohio, to be closer to the basketball player when she found out she was pregnant - would move back to Los Angeles to be near her family so they could help her raise little True.